The Government of Québec announced its $185m investment in BlackRock Metals for the construction of an open pit iron, vanadium and titanium mine near Chibougamau. 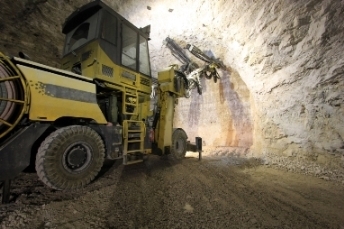 The amount consisted of $85m in equity through Capital Mines Hydrocarbures fund, $50m loan from Investissement Québec (IQ) on behalf of the Government of Québec and $50m loan granted by IQ’s Ressources Québec from its own funds. Based on estimates, the project represents an investment value of $1.3bn. Moreover, the project is expected to create 800 new jobs during the construction of the mine and mill, and another 200 jobs during the operation of the mine. Meanwhile, the operation of the processing plant is seen to add another 300 jobs. Québec Government is also providing $63 million in financial assistance to Port Saguenay Developments, a subsidiary of the Saguenay Port Authority, to ensure the implementation of the energy infrastructure available to BlackRock Metals. BlackRock Metals’ investors include Winner World Holdings, Oman Oil Company, Ressources Québec, Orion Mine Finance Group. XPV Water Partners acquired Calgary based Mobiltex Data Ltd. from Jerry Chilibecki and Dale Poloway. Financial terms were not disclosed.